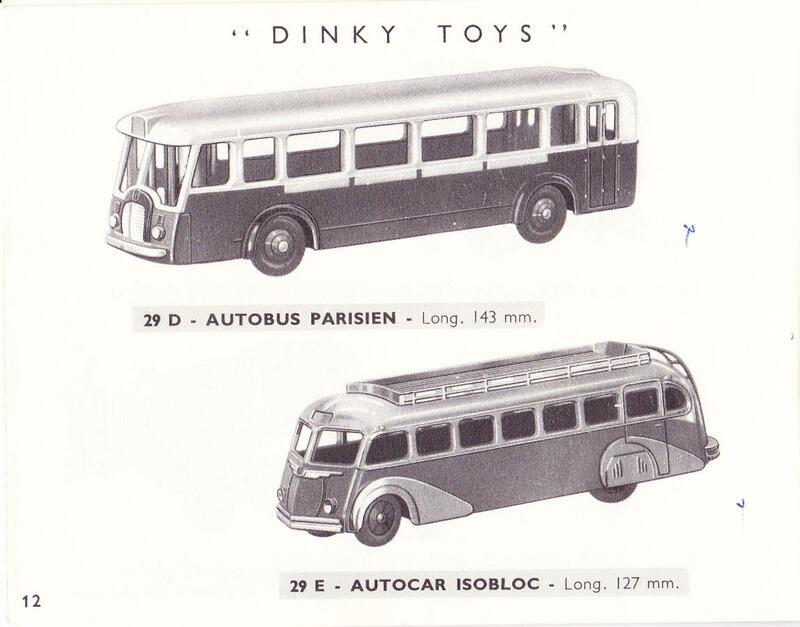 This week I had another wonderful addition to my collection, this time the French Dinky Toys 29e Autocar Isobloc. I had bought one previously, many years ago, but this new one is in much nicer condition, so when the opportunity came, I jumped at it. 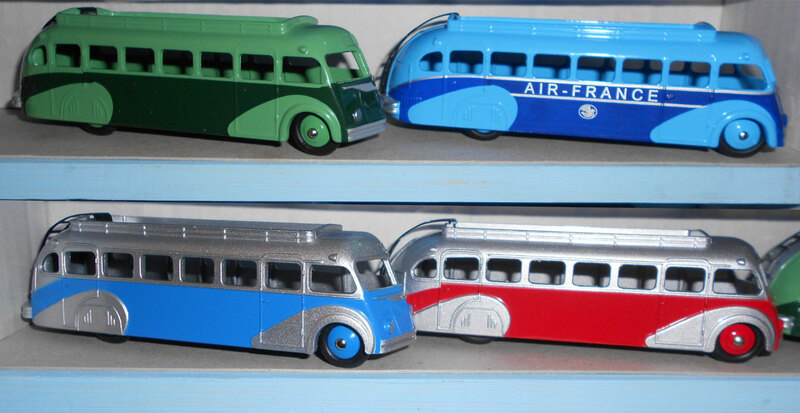 A brief history of this model is: introduced in 1951, along with the 29d Autobus Parisien, and made until early 1955. There were three main versions produced, with the first one featuring flat, not raised, areas along the wings, and with a smooth ceiling and floor of luggage area. The second version added the raised wing areas, otherwise the same. The third and last one added a ridged floor in the luggage area and also a checkered interior ceiling. Mine is the third type, and appears to have never been played with, showing just some very light rub wear in a few places, likely caused by sitting in a trade box. The axles are bright and gleaming and show no signs of corrosion. 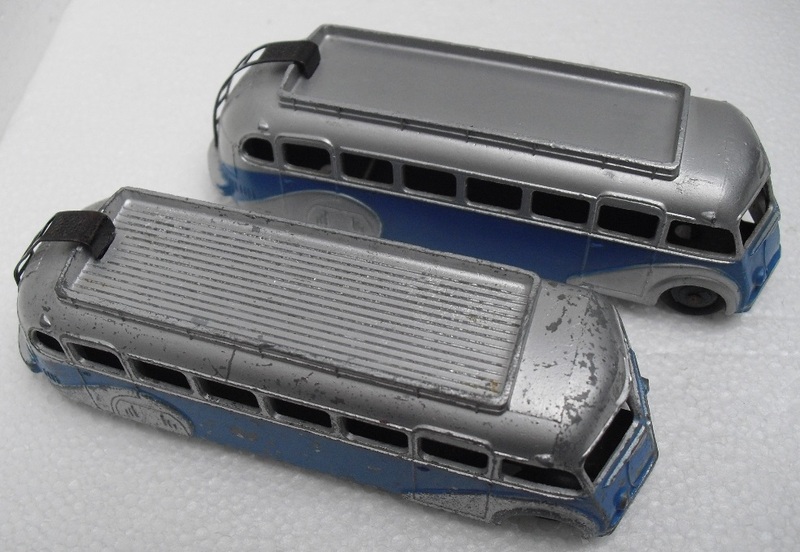 This bus joins the 24q Ford Vedette and the first version of the Standard Vanguard Saloon, as the only models to feature what was apparently an experiment to fasten one of the axles to the baseplate via a tinplate clip. I have never heard any more of an explanation of this clip, and it is shown in one of the photos below. 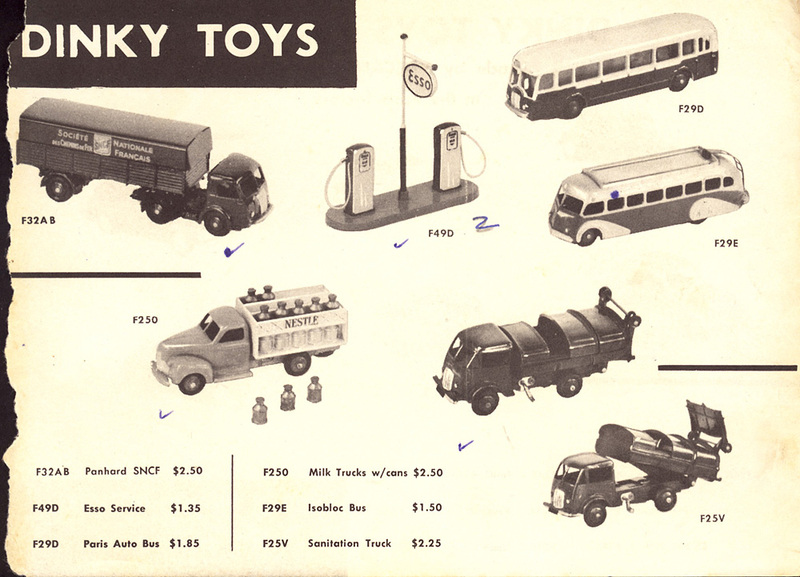 Also shown are some pages of the 1952, and 1953/54 French Dinky Toys catalog, which show this bus. 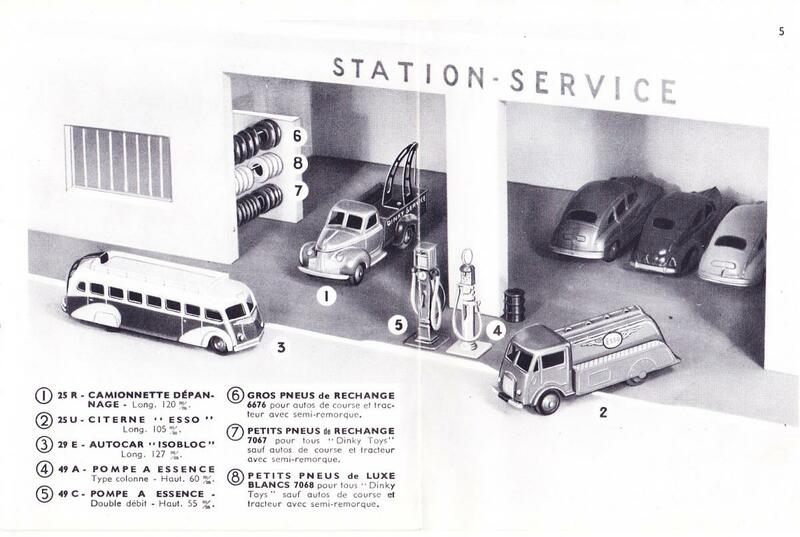 Even though it was apparently available for some time in 1955, it was not shown in that catalog. 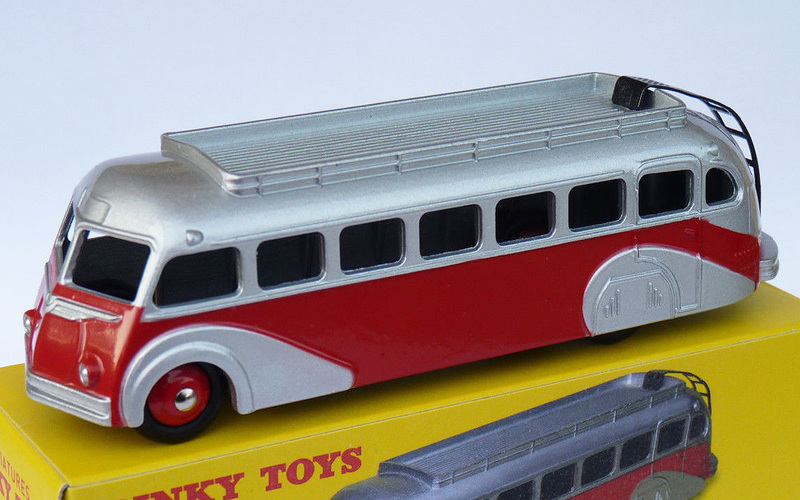 Another very nicely detailed French model from the early 1950's, that so many of us love. Congratulations for this superb late Isobloc. I do not know where you got the dates from but the September 1950 blue Meccano leaflet shows a very poor drawing of the Isobloc below which is printed : "available early in 1951". In fact, there are four variations as the cross hatched ceiling came later than the ribs on the roof rack. 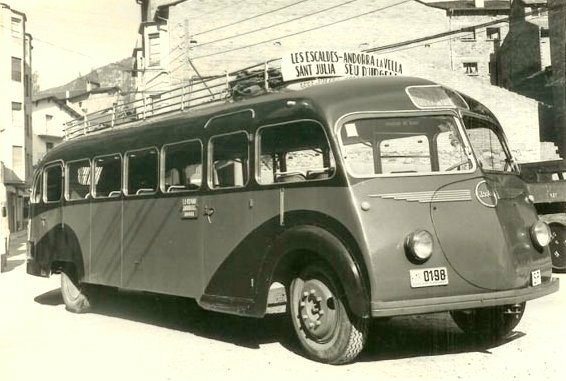 The Isobloc was the first coach build in Europe not using a very heavy truck châssis. The builder Joseph Besset a car coach builder launched the revolutionary Isobloc build under licence with a welded tubular frame, and a rear engine. The factory is still running today after having changed hands four times. It is now owned by Iveco and is the last bus manufacturer in France under the marque Irisbus. Frame of the chassis less Isobloc. Nice to see, what you wrote me about a few days ago, Terry. Indeed a wonderful example. If I only had one! 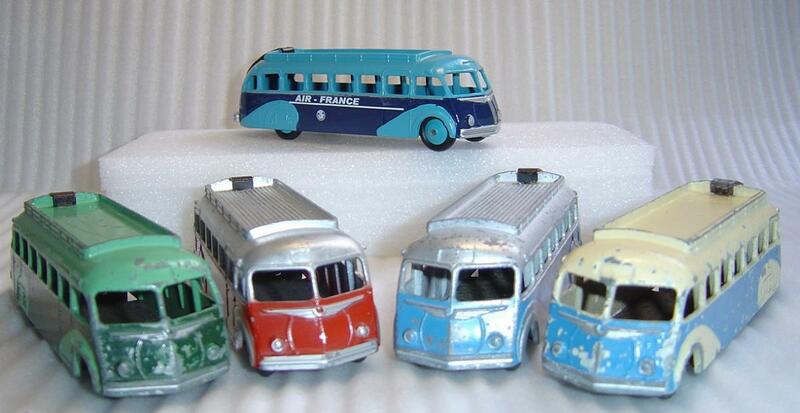 The "Air France" one is a copy for the french Dinky Club. And this is the only original one. Collection Robert Goirand. Here under the Isobloc Type 2 I received this morning with the type 3 already shown in the above photo. Jan—Nice find, and one of my favorite French Dinky Toys. The overall design is just so different and interesting, and I think they made a very nice model of it too. I’m not sure why yours appears to be a bit rougher casting than mine. Since mine has the checkered inside roof, it was made a bit later. 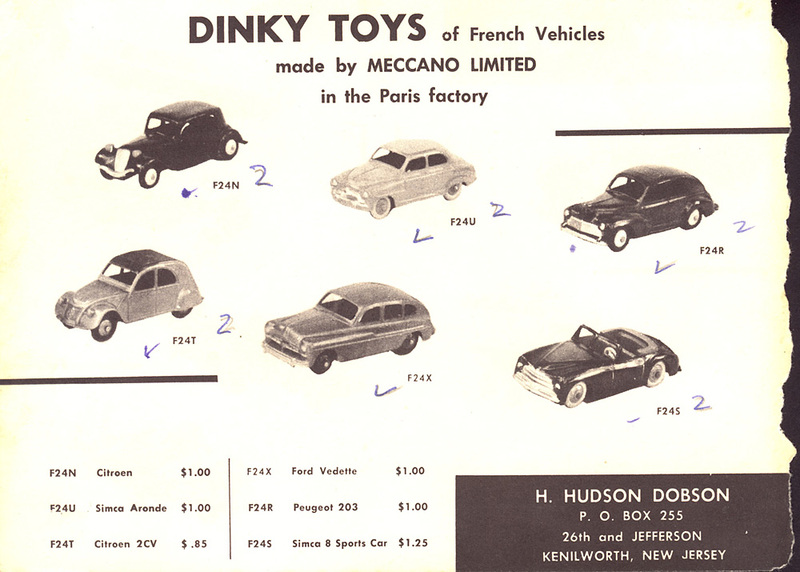 I am also glad you are now experiencing more of the French Dinky Toys models. I was entranced with them, even as a young boy, and I noticed how different they were from their English cousins. Very nice! Atlas also produced an Air France copy for their Christmas 2014 range. So only the green blue and cream scheme was overlooked. Now that Atlas have wound up their Dinky subscriptions, far east clearance stocks have started to appear on ebay including a few Air France spares.